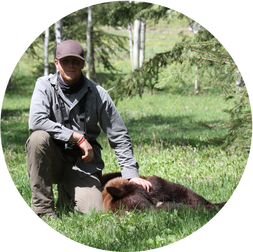 As an Ecologist, hunter, and storyteller my passion lies in the outdoors. Having a career that allows me the opportunity to work and play in backcountry has given me the ability to become involved with tremendous individuals and organizations. I look forward to continued work and being part of exciting projects that promote scientific progress and conservation initiatives.